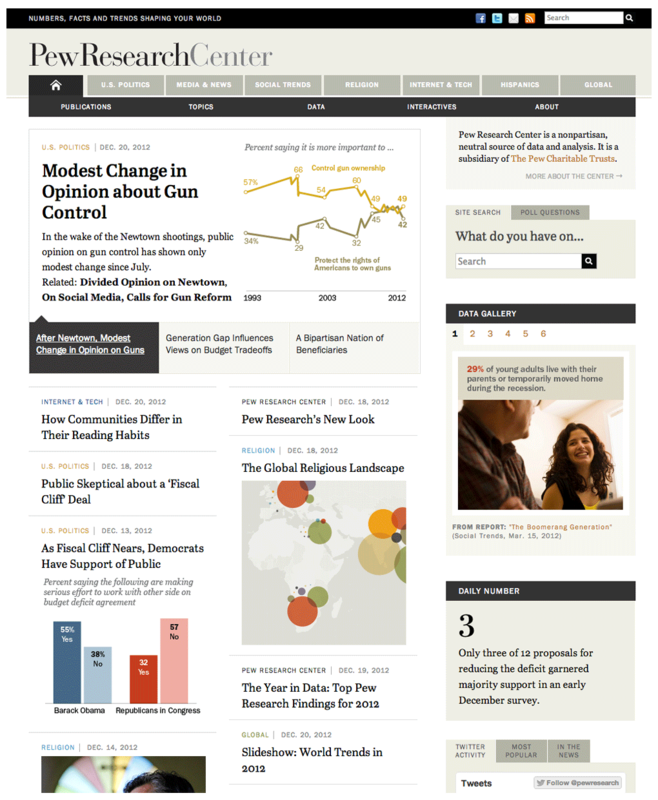 Description: Complete design overhaul of PewResearch.org into a responsive framework. 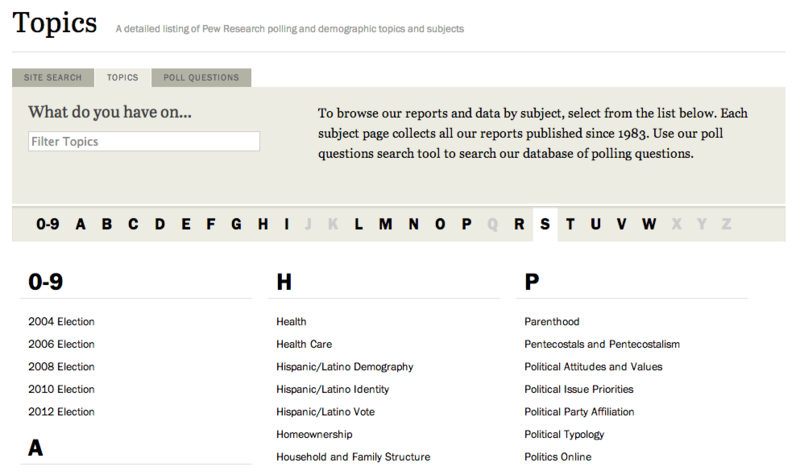 Custom navigation gives users one-click access to all seven Pew Research project sites from any Pew Research page. 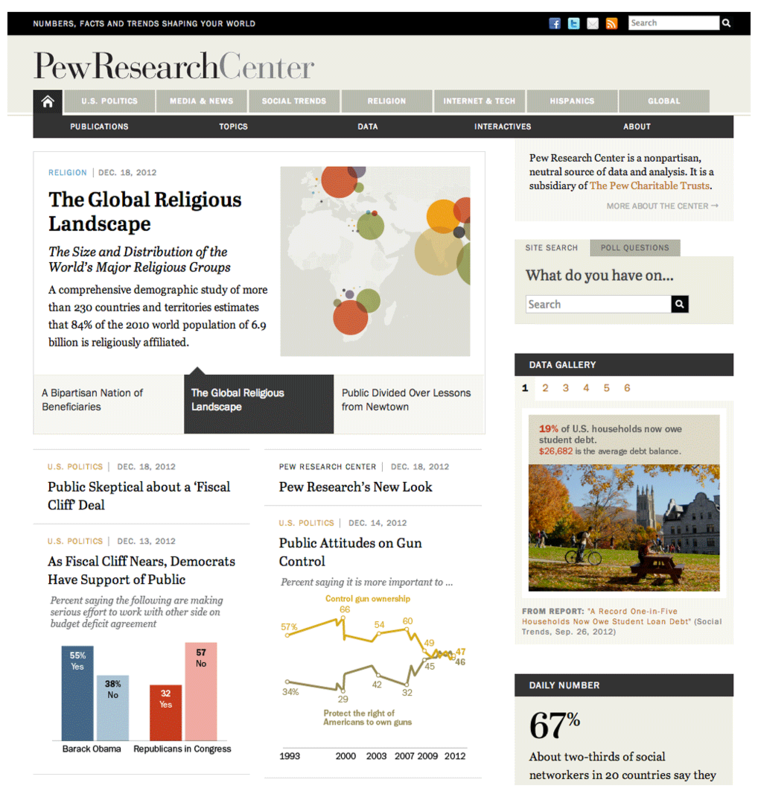 Design of upper banner and navigation incorporates both Pew Research and project branding. Each project is assigned a unique color to help with user identification throughout the sites. 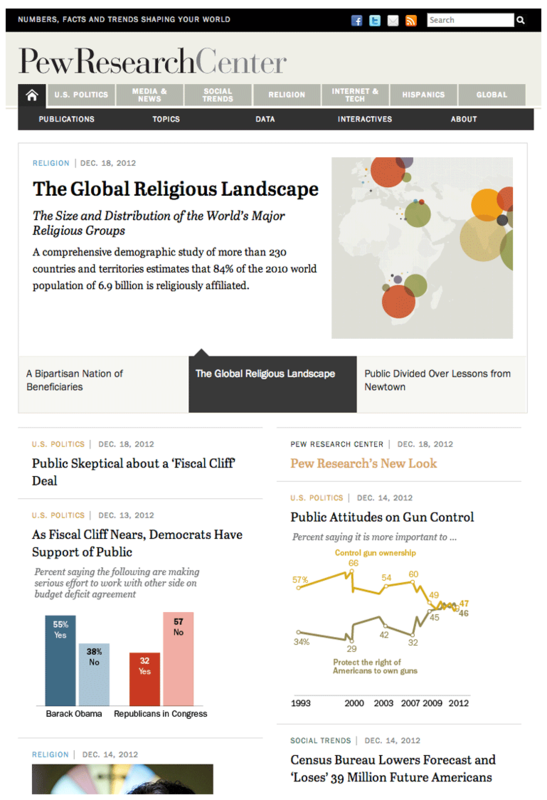 The homepage includes a swipe-capable data gallery and interactive feature filmstrip. 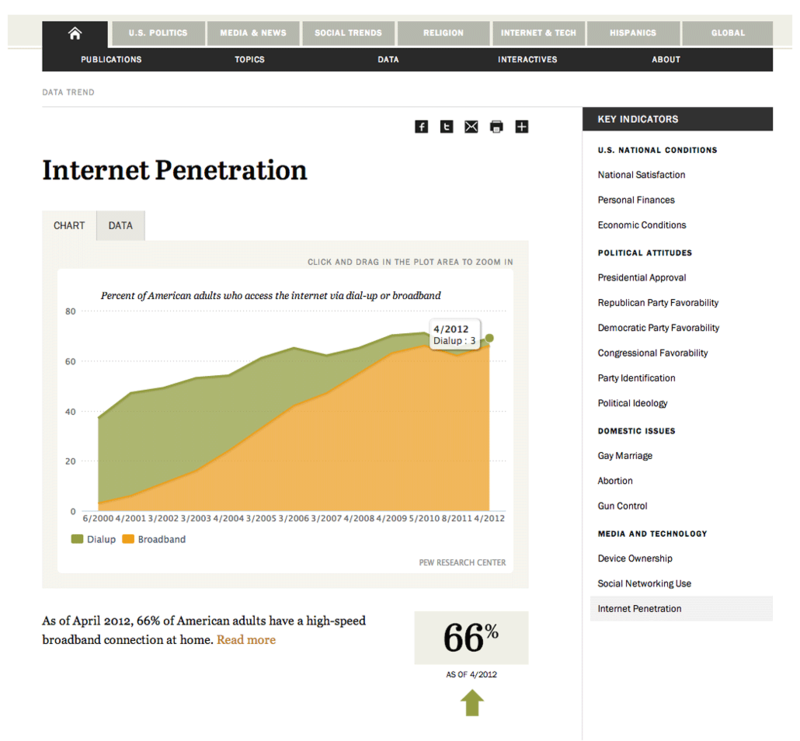 All elements of the site have been re-worked to fit both internal and external needs. 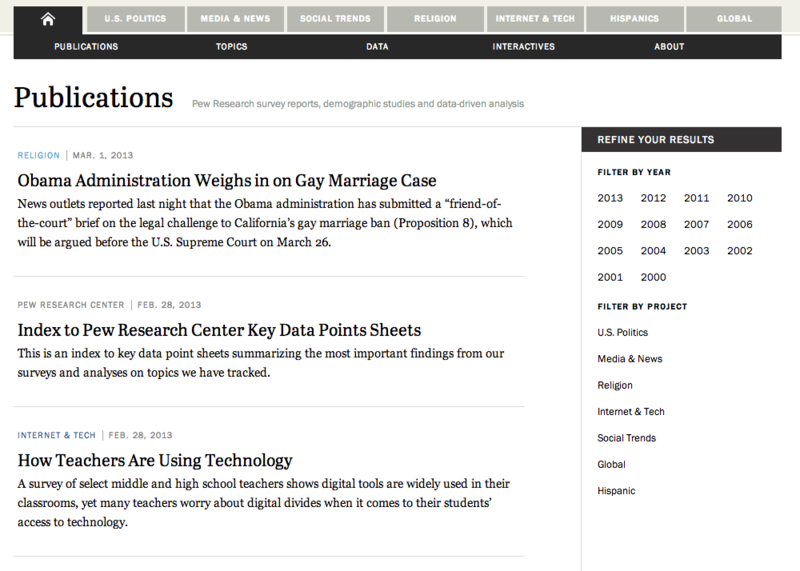 All content has been organized and tagged in accordance with a searchable, filterable Topics page. 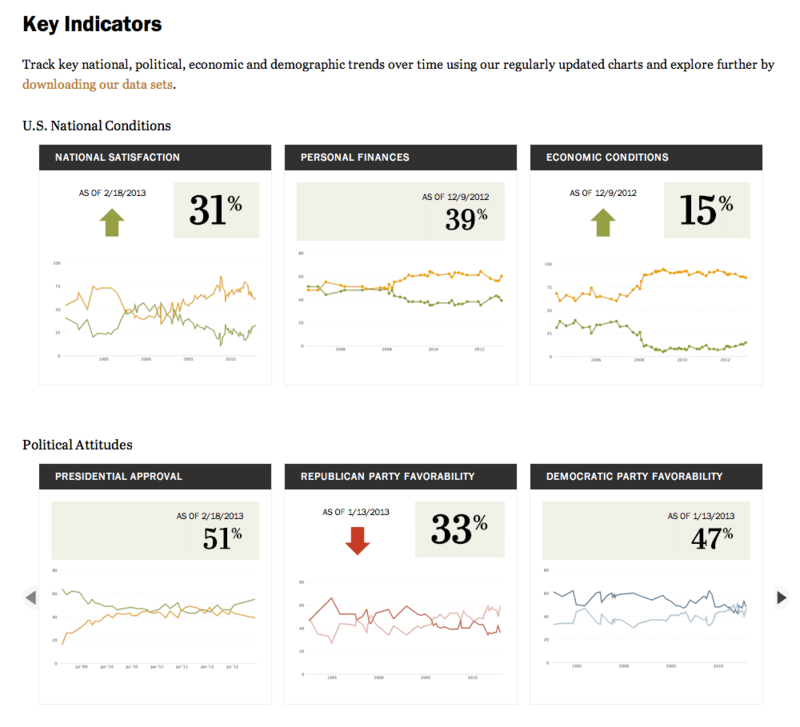 The custom-built Data section of the site displays easy-to-read, interactive charts that give users quick access to the latest numbers on key trends collected by Pew Research pollsters and demographers. The experts pages are filterable by expertise.